Lift yourselves out of your puddle of despair and mark your calendars for the Sweet Festival of Wags beginning on March 30 and continuing through April 4. 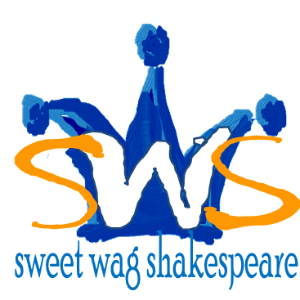 Yes, six days and nights of Waggery in which Sweet Wag Shakespeare remounts Strange Absence: A Devised Show, Hamlet, War of the Roses, As You Like It, The City Nightcap, and Cymbeline. Whether you’re seeing them again or for the first time, The Sweet Festival of Wags promises to be the ultimate spring fling!But wait! There’s more! The Sweet Festival of Wags includes other events such as free workshops, an encore performance of Quietus (A Performative Provocation) by our friends in the Mlitt, a designer’s gallery and free concert, and the First Annual “Mad Wag” Festival-Within-A-Festival, a 24-hour production competition featuring faculty, alumni, and current members of the Shakespeare & Performance community. The Mad Wag Festival-Within-A-Festival gives us all the chance to answer the question of “what if…” as participants perform 30-minute productions of plays that nearly made it into the Wags’ 6-show season, but didn’t make the cut. *Seating is limited for this performance. To get a seat, send us an email at sweetwagshakespeare@gmail.com or get a lottery ticket while attending Quietus or the “Kick Off” Concert. Seat winners will be announced at the end of the concert on Thursday night.